Features convex edges that will slice, cut, chip and glide through hair with ease, and a Classic ergonomic handle to keep you working comfortably all day. This left-handed Master Series Shear is forged from Japanese Hitachi V10 steel for edge durability and dependable long-lasting performance. 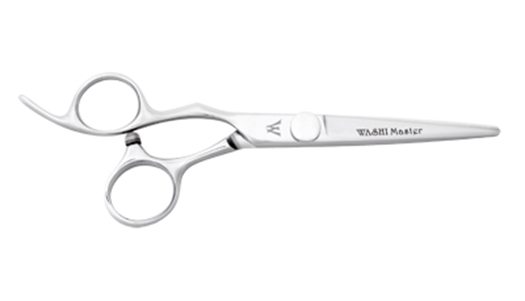 This shear features convex edges that will slice, cut, chip and glide through hair with ease, and a Classic ergonomic handle to keep you working comfortably all day.